What are our own students saying about their use of screen time? A survey was administered during the first week of November to 432 high school students about their use of screen time and family rules about technology. 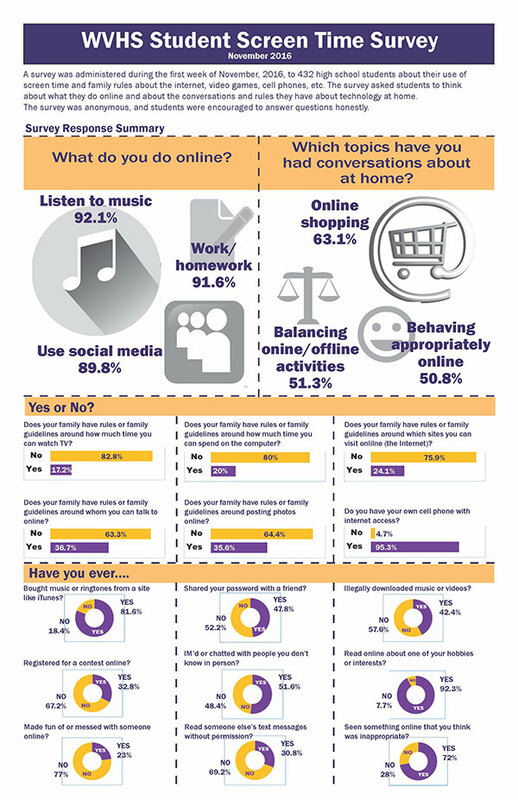 The survey asked students to think about what they do online and about the conversations and rules they have about technology at home. Question: What would you say is your family’s MOST IMPORTANT rule or policy about using technology? What you put online stays online. Treat others online as you would in person.